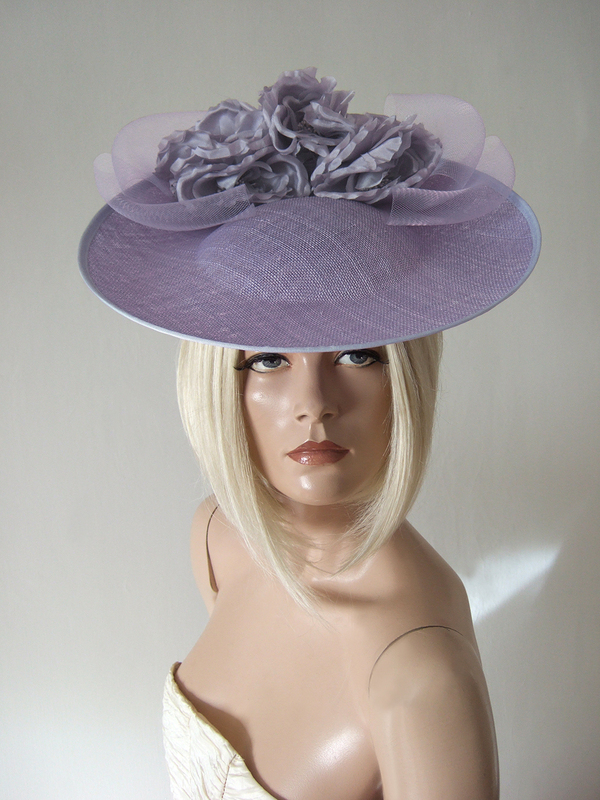 This is an Lilac headpiece with saucer base sitting on over the crown, with a cluster of 6 roses on the top, on bed of Crinoline Bows, and another cluster of 4 roses on the underneath at back. Saucer Base has a diameter of 13". Attached by Alice Band and Comb. Fit's all heads.